46. וְאִם תֹּאמַר, וַהֲרֵי שָׁנִינוּ, אֵין מַתְחִילִין בַּשֵּׁנִי וְאֵין מְסַיְּמִים בָּרְבִיעִי, דְּהַיְנוּ בְּב’ ד’ עִם עֵרֶב רַב, שֶׁלֹּא הָיוּ שְׁלוּחֵי מִצְוָה, שֶׁלֹּא הִתְגַּיְּרוּ לְשֵׁם שָׁמַיִם, וּלְאַחַר שֶׁעָבְרוּ מִן הָעוֹלָם, צִוָּה הַקָּדוֹשׁ בָּרוּךְ הוּא לִטֹּל (שמות לד) שְׁנֵי לֻחֹת אֲבָנִים כָּרִאשֹׁנִים, וְאָמַר, וְכָתַבְתִּי עַל הַלֻּחֹת אֶת הַדְּבָרִים אֲשֶׁר הָיוּ עַל הַלֻּחֹת וְגוֹ’. 47. וּשְׁתֵּי כִּכָּרוֹת בְּשַׁבָּת רוֹמְזוֹת לִשְׁנֵי יוֹדִי”ם יְאֲהדֹוָנָהִי. שֶׁאֲדֹנָי הִיא יְחִידָה מִבַּעְלָהּ בְּשֵׁשֶׁת יְמוֹת הַחֹל, וּבְשַׁבָּת יוֹרֵד אֵלֶיהָ. וּמִשּׁוּם זֶה בְּשַׁבָּת כָּל הַנְּשָׁמוֹת וְהָרוּחוֹת וְהַנְּפָשׁוֹת יוֹצְאוֹת וְיוֹרְדוֹת זוּגוֹת, וְאֵין שָׂטָן וְאֵין מַזִּיק שׁוֹלֵט בְּיוֹם הַשַּׁבָּת. וַאֲפִלּוּ גֵיהִנֹּם לֹא שׁוֹלֵט וְלֹא בוֹעֵר בְּשַׁבָּת. וּמִשּׁוּם זֶה, (שמות לה) לֹא תְבַעֲרוּ אֵשׁ בְּכֹל מֹשְׁבֹתֵיכֶם בְּיוֹם הַשַּׁבָּת. וְזוֹ אֵשׁ נָכְרִיָּה, אֶלָּא אֵשׁ הַקָּרְבָּן, אֵשׁ שֶׁל קְדֻשָּׁה. וְאֵין לְהַאֲרִיךְ בַּבְּצִיעָה שֶׁלָּהֶן, שֶׁהֲרֵי נִתְבָּאֵר לְמַעְלָה. As explained before, there is a danger in pairs because the negative-side can cause separation and disconnection from the Light. The second and fourth day (Monday and Wednesday) are ‘pairs’. The Zohar suggests not to start on Monday and complete on Wednesday even when doing a Mitzvah. The Erev-Rav are not ‘messengers of Mitzvah’ and when we are involved with them, the outcome is negative. They brought the sin of the Golden Calf on the Israelites and the first two Tablets that Moses brought down, broke. After the instigators of the Erev-Rav were killed, Moses went up to bring the second pair of tablets. 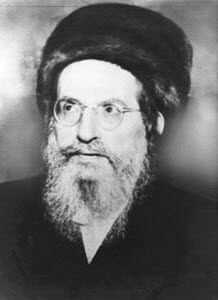 The righteous that doesn’t have connection to the Erev Rav can start a Mitzva any day. Lesson: All of our actions should be done in a form of a Mitzvah. When we work it is for the sake of doing for others and be rewarded with money that we can share. The negative-side ‘pairs’ with us to distract us from doing the right things. It’s easier to cause conflicts and separation between two, especially when one or both are not righteous in their intents and actions. The day of the week, month and the individual cycle of energy also contribute to the success or failure of our actions. Our protection is by following the righteous ways that the Torah and Zohar teach us. Marriage is also a ‘pair’ and to protect and strengthen the relationship, the couple should bring the Light in in order to push away the ‘darkness’. A third ‘entity’ (the other-side) in the relationship would only cause conflicts and separation. The two loaves of Shabbat are the aspect of the two Yud יי from the name that merges the upper and lower names. ADNY אדני is the lower name, Malchut, that during the weekdays is away from her husband. On Shabbat YHVH יהוה comes down to אדני ADNY for unification. We take the two loaves on Shabbat, one for the first Yud י and one for the last Yud י and put them together to represent the unification of upper and lower. The soul levels of Nefesh, Ruach and Neshama we receive on Shabbat come down in pairs and the other-side have no power on that day to harm them. Even the fire in hell is not burning on Shabbat and for that reason, we don’t start fire on Shabbat. We break the bread as explained in Ekev paragraph #22. The head of the table, who makes the blessing and break the bread distribute pieces around the table but shouldn’t give it to the hands of the participants in the meal but place the piece next to them. He can place the pieces on a plate for the others to take. The reason is that we hand food to people that mourn a death of a family member. The head table can meditate to include everyone around the table with his blessing. The others should stay silent until they receive the bread and eat it. No conversation between the blessing of Netilat Yadayim (hand wash) until after eating the bread.